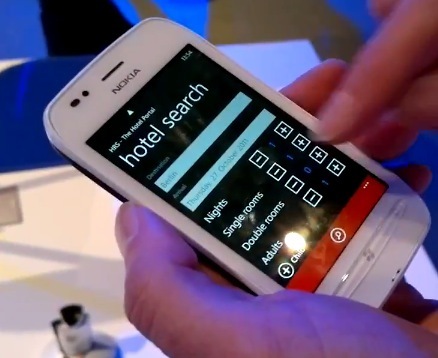 At Nokia World, we got a demo of the HRS (Hotel Reservation Service) demoed on the Nokia Lumia 710 (for Windows Phone). This app allows you find a hotel, book and pay for it all within the app. You can also share your hotel findings on social network if you aren’t sure about which hotel to stay in or just want to share a nice hotel find. This video was filmed on a Nokia N8. Whilst we’re here, you might also want to check out this video from Nokia showing how HRS came about to being on WP Mango.